In this episode, I talk about how I teach middle school students in a large group setting. Large doesn't have to mean hundreds, but just more than allows for a typical small group discussion. It doesn't have to resemble a nuclear blast, but it also probably won't look like coffee at Starbucks and a John Piper book discussion. Setting up your teaching into 5 minute "blocks"
Got a middle school ministry question? Want to see my resources? Click here. Do you twitter? So does this podcast! In this episode, I talk about l talk about leading a middle school small group! It's a crazy thing, but it can also be really great! A key point is to know your audience. You aren't dealing with seminary students. You've got squirrelly 11-14 year-olds. Here are my big tips! Acknowledging the weird and the silliness of your time! Some tips for playing games during small group! ​Got a middle school ministry question? In this episode, I talk about having a conversation with middle school students. At first, it was something I avoided because I didn't think I was having any type of impact discussing Minecraft with 12 years olds. Now I focus in on those conversations because I know I'm showing these students I love and care about them! Today I got to spend some time talking to Middle School Ministry veteran, Mark Eades, Middle School Pastor at New Covenant Bible Church, about having and loving chaos in your middle school ministry program! A DYM Podcast live from DYM100, the best conference around! 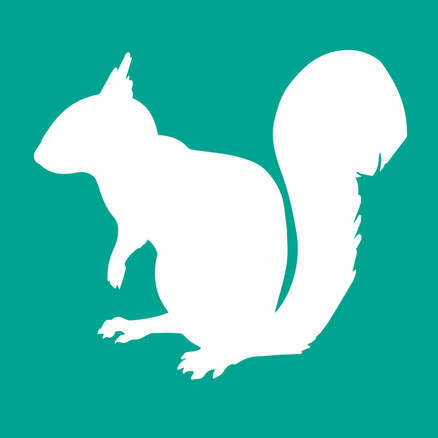 06 Talking Squirrels - The Middle School Ministry Podcast: A Conversation with Mark Eades about Boredom! Planning trips, retreats, and camps can be a big pain. But you can also do yourself and your middle school students a disservice if you don't schedule out intentionally. In this episode, I talk about why we plan our retreats/trips/mission trips the way that we do in order to help out parents and middle school students! If you have students, you have parents in your ministry too! Scheduling another meeting may not sound like a great idea, but if you do it right, a parent meeting can be incredibly helpful for your ministry! This is a great resource for making newsletters to send to parents, volunteers, etc. Check it out! In this episode, I talk about how you can champion middle school students serving in areas that don't have anything to do with the youth ministry! That's a scary idea for everyone else on staff, but you know they can do it! Changing your church's culture to include MS Students volunteering! ​Our Techincal Volunteer page on our church website featuring MS Students! In this episode, I talk about getting Middle School students serving within the student ministry. Asking, "What am I doing that a student could do?" The other day, while thinking that I needed some new podcasts to listen to, I googled "Middle School Ministry Podcast" and came up with exactly zero middle school ministry podcasts. So, being the sensible person that I am, I decided to start my own. I'm going to talk about student ministry as it relates to Middle School students and how it's a little different animal than working with all grades or just high school. I hope to talk with other, smarter, longer serving middle school pastors because I certainly don't have this thing all figured out. I want to highlight things I've found and resources I've used that have been really helpful. I'd love to put out one episode a week. Probably on Mondays. I also plan to keep each episode short. 15 minutes at the most. A new middle school ministry podcast for those who minister to middle school students. Ministry is messy but it's beautiful too. I'll write some thoughts about it here, especially when it comes to student and middle school ministry!